If you are a beach lover looking for a budget all-inclusive holiday in Varadero, you will not find many better places than Starfish Varadero hotel. Starfish Varadero is located on one of the best stretches of beach in Varadero, with powder white sand lapped by the warm azure ocean – where you will find plenty of space & no shortage of sun loungers. 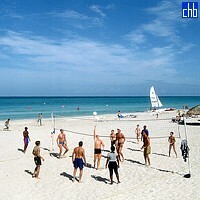 The hotel is also conveniently placed for the airport & exploring Varadero. The food at Starfish Varadero is of a good standard with a buffet restaurant, 3 a la cartes (Italian, Seafood & Cuban) & a beach grill which serves great burgers. The food & service are better than expected for a budget resort. 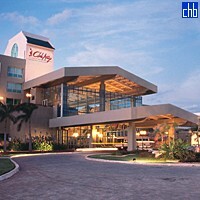 The hotel has 6 bars, including a coffee bar, 2 pool bars & a beach bar which serves refreshing slush drinks. The staff at Starfish Varadero hotel provide good entertainment, with a kids club & organised activities like dance lessons & cocktail-making by day, & great shows in the evening. In addition to the 2 swimming pools, guests can enjoy tennis, volleyball, pool, cycling & archery; while a good range of non-motorised watersports are provided on the beach. 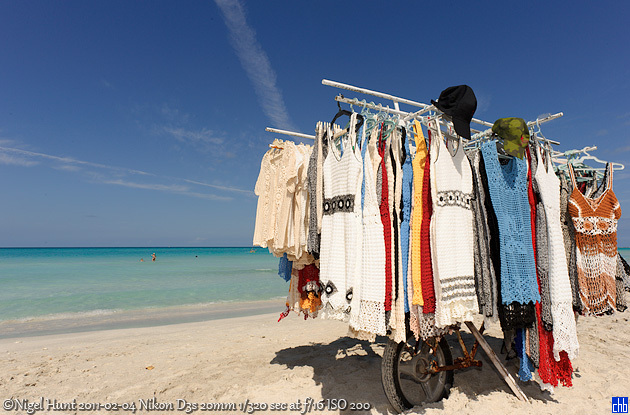 Starfish Varadero may feel a little ‘no frills’ in places but has a truly stunning beach, great activities & better than average food & drink. 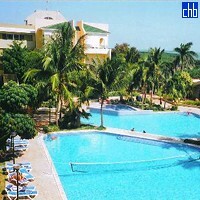 If you are looking for a budget all-inclusive stay in Varadero, you will find outstanding value here. 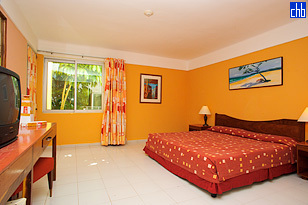 Starfish Varadero has been recently renovated under the new Blue Diamond management. 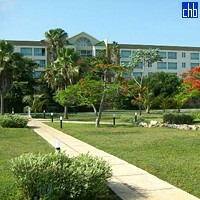 Previously it was known as Hotel Club Amigo Aguas Azules and before that as Hotel Club Amigo Varadero. 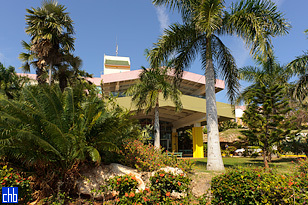 Starfish Varadero has over 400 standard rooms, including 2 with facilities for disabled visitors. 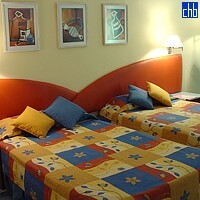 All rooms are ensuite with air conditioning, satellite TV, mini fridge & safe. The rooms are clean & well looked after by friendly maids who leave beautiful towel art on beds.